Utilising just one square metre of retail floor space we designed and built a display that hosted nine Saint Gobain products! 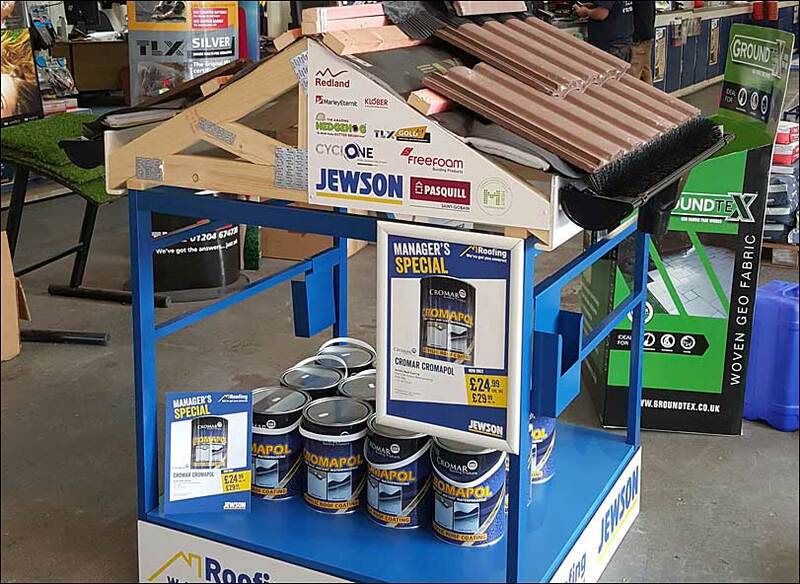 Focusing on the complete roofing offering from Jewson, this bespoke retail display stand clearly showed how the range of products worked together. The stand also served as a space to stock a promotion product under the roof, utilising every square inch of the retail space. Our expertise was used to design, manufacture, and assemble the client’s products, building a complete display. 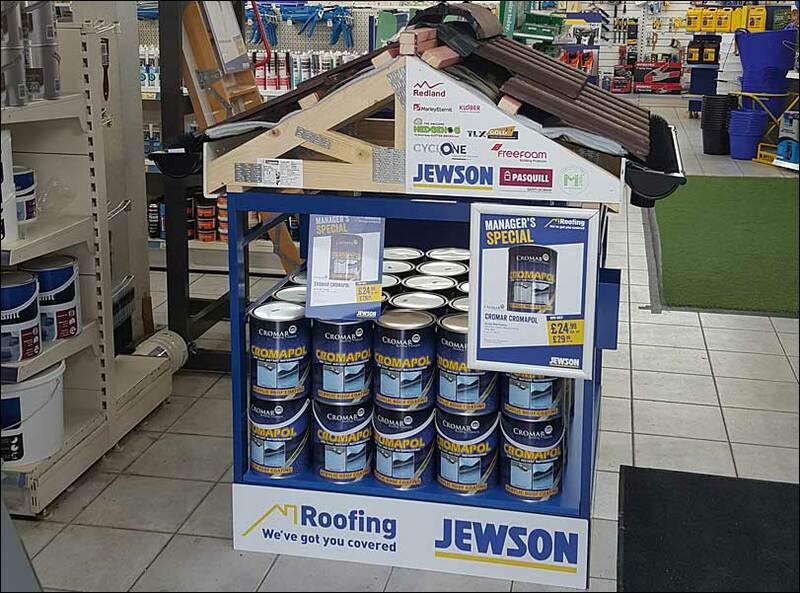 We then installed the bespoke retail displays in over 100 Jewson UK stores in just three weeks! 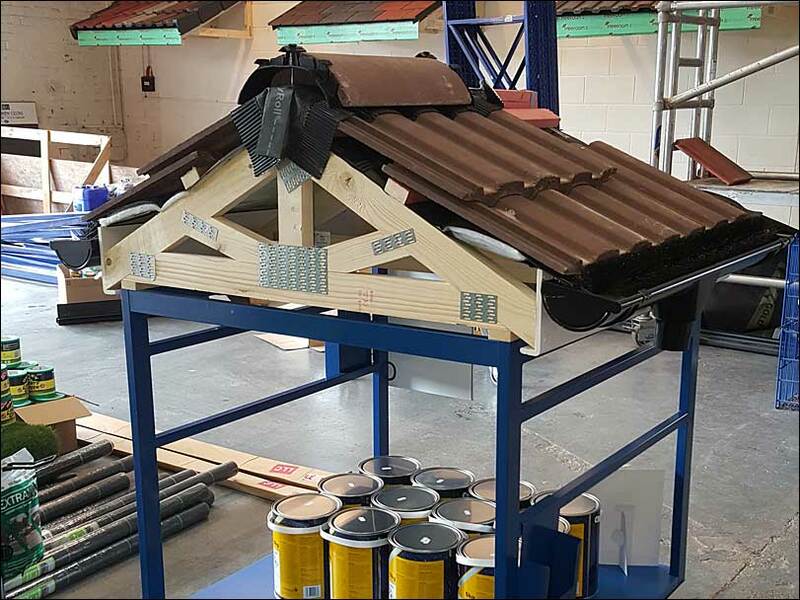 Our fulfilment programme and project management made sure of a hassle free delivery for both Jewson and every store manager.